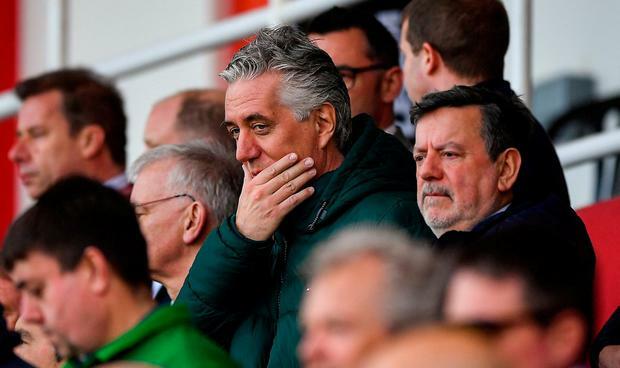 The 1,883-word statement sent out by the FAI on Saturday, and the shorter Sunday follow-up, both fail to satisfactorily deal with the main questions surrounding the governance of Irish football. If anything, the announcement of a new structure going forward has only succeeded in adding to the list. The FAI's proposed appearance before the Oireachtas committee on sport is not just concentrated on the future. It's the events of the recent past that have to be addressed. The dramatic events in Gibraltar, and the announcement of John Delaney's move from chief executive to a new role in the hour after a senior international match, have again highlighted how the association appears to have a curious way of doing business. The FAI has to explain where the momentum for a Friday board meeting and a Saturday evening announcement came from. The unorthodox timing tackles any assertion that this was always the plan. More clarity is required on how the organisation will function on a day-to-day basis before Delaney's switch to executive vice president can be described as a moment of change for the FAI. The statement said that the association's most prominent decision-maker, who served as full-time CEO for 14 years, will still be able to attend board meetings along with the new CEO. In other words, he's still going to be present when the big decisions are being discussed. It doesn't exactly scream revolution. Delaney's "substantial" pay cut - which will reportedly bring his FAI pay down to €120,000 from €360,000 - hardly eliminates the need for a coherent explanation on why his wage was at such a high level. Of course, that is a question for the rest of the FAI board, the majority of whom have been sitting around the top table for more than a decade. We don't hear a huge amount from them for whatever reason. President Donal Conway was quoted in the FAI's statement but declined to answer questions when pressed by media in Gibraltar before the match. Indeed, while politicians, ex-players and some League of Ireland managers and players have individually expressed dissatisfaction with the headlines generated over the past week, there's been a noticeable absence of comment from senior clubs or FAI Council members. If there is any unhappiness, it is being expressed privately. The now traditional silence at the association's AGM paints an odd picture of how delegates serve the people they represent. Over the past decade, there have been numerous developments worthy of debate. As new details emerge about the FAI's recent history, the fallout should go beyond scrutiny of Delaney. It's the ability of the football family to hold their main powerbrokers to account which also needs to be thoroughly examined.